St. Petersburg State University (SPSU) is the oldest university in Russia, it has been established in 1724. At present SPSU is a major Russian centre of science, education and culture, including 19 faculties and 13 research institutes with over 25 000 students and 5000 permanent staff. SPSU has over 100 direct agreements of co-operation with universities in 50 countries in the world. Biodiversity-related research activities of SPSU include studies in the field of ichthyology and hydrobiology, vertebrate and invertebrate zoology, geobotany and ecology with focus on European part of Russia. Also, SPSU is conducting research on integrated river basin management focusing on developing approaches to cumulative risk assessments of different stressors. Within Europe, SPSU is participated in cooperative research and education within EC INTAS, TEMPUS Ecodiv and FP6 projects. Specifically, SPSU is involved in the EC FP6 Strategic Targeted Research Project DAISIE ("Delivering Alien Invasive Species Inventories for Europe", and two EC FP6 integrated projects: ALARM (“Assessing LArge-scale Risks for biodiversity with tested Methods”), and MODELKEY (Models for Assessing and Forecasting the Impact of Environmental Key Pollutants on Marine and Freshwater Ecosystems and Biodiversity”). Within EnviroGRIDS project SPSU will be coordinating activities related to invasive species introductions as one of main threats to biodiversity and disasters early warning. Mr Vadim E. Panov Dr. Vadim E. Panov is a senior research scientist at the St. Petersburg State University, Russian Federation. His research interests include development of approaches to management of risks posed by introductions of aquatic invasive species (AIS), including databasing and international networking on invasive species. During last five years Vadim Panov was involved in the EC FP6 Integrated Project ALARM and Strategic Targeted Research Project DAISIE, coordinating international research activities related to risk assessments of invasive species and databasing in biological invasions in European inland waters. Currently he is serving as a managing editor of a new European online journal “Aquatic Invasions”, established in 2006 for early warning and AIS databases support purposes with start-up funding from European Commission via ALARM project. Within the EnviroGRIDS project, Vadim Panov will be involved in WP5 (tasks 5.1 and 5.6) and WP7 (tasks 7.2 and 7.4) coordinating activities related to invasive species issue. Personal page:http://www.aquaticinvasions.net/personalia/panov.html , PhD in biology (aquatic ecology), SPSU team leader in EC FP6 projects DAISIE and ALARM (coordination of the projects activities related to invasive species in the European inland waters), Chief Editor of the international EC-supported “Aquatic Invasions” e-journal, Coordinator of the Regional Euro-Asian Biological Invasions Centre information system and Coordinator of the European Research Network on Aquatic Invasive Species. 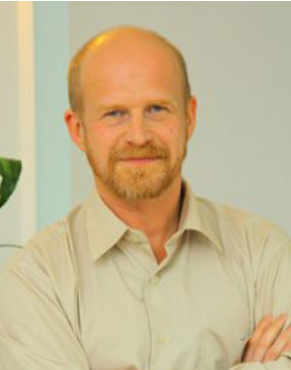 Mr Alexey M. Tomilin, PhD in technical sciences. Expert in development of GIS technologies in environmental issues. Mr Gennady G. Matishov PhD in geographical sciences. Chairperson of the SSC RAS. Scientific activities: marine biology and geology; oceanic periglacial; environmental and radiation monitoring; marine ecosystem, fish productivity and bioresources dynamics; fisheries and oil and gas activities impact assessment on biogeocenoses; topography and geomorphology of the North Atlantic and the Arctic Ocean bottom. Ms Sofia V. Kreneva PhD in biology (aquatic ecology). Leading Scientist at SSC RAS (Laboratory of Plankton) and Azov Branch of MMBI KSC RAS. Research interest: aqua ecology, assessment of state, health of aquatic ecosystems, development of pollution control methods. Mr Sergey V. Berdnikov PhD in biophysics. Head of Department of Oceanography and Biology of the Southern Seas, studies on the Black and Azov Seas Ecosystems Modeling and Fisheries Management; The study of regularities of biological productivity and fish community changes in aquatic ecosystems under exotic species impact; Ecological consequences of a comb jelly invasion for the Mediterranean sub-areas (Black-Azov seas). SPSU is leading two tasks in WP5, one on Biodiversity and one on Disasters early warning systems. SPSU is focusing on the problem of invasive species across these two tasks. SPSU is also involved in the organisation of workshops in WP7.